The Winter VCT Newsletter with Membership Renewal details will be sent out to all Members week commencing 15th January 2018. Existing Membership Cards will remain valid until 31 January 2018. KWVR and VCT Staff have been notified. 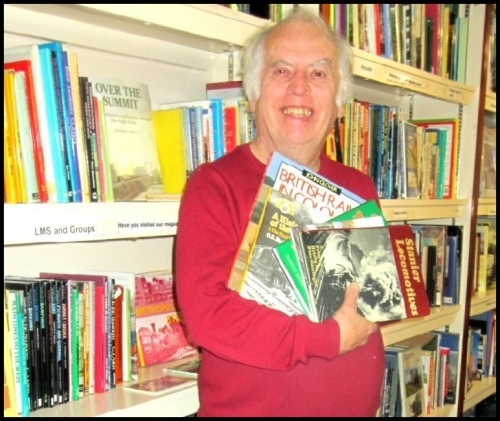 Members and friends of the Trust will be saddened to learn of the premature death of Trustee Mick Halcrow, known to many as an integral part of the "front of house" team at The Museum of Rail Travel. Mick had been receiving treatment in Airedale Hospital and Bradford Royal infirmary, and latterly palliative care at Manorlands. Unfortunately, he succumbed to the several conditions from which he was suffering on 11th September. Mick’s first duty at Ingrow was in July 2009 and his enthusiasm and commitment to VCT soon had him elected to the VCT Committee at its AGM on 16th October, 2010. As well as often being found behind the counter at VCT, Mick undertook a wide range of "behind the scenes" tasks. He was responsible for Publicity and Marketing, and was the Trust's Retail manager. He represented VCT at the Rail Story and Bronte Country Partnerships, and attended meetings with AIM, Welcome to Yorkshire and Museums Development amongst others. He also contributed to re-accreditation of the Museum, insurance matters and was the author of the current Emergency Plan. He will be sadly missed by his colleagues at the Trust for his dedication, and his willingness to be available on behalf of the Trust in any capacity. His funeral will take place at 2:30 pm, on Friday, 29th September at Oakworth Crematorium. Please accept this as an invitation to attend the funeral/wake. If you are able to attend, please send an email to admin@vintagecarriagestrust.org or phone Ian Smith on 07976 569178 so that we can arrange catering. This year, vintage trains will run on Sundays 25th June, 2nd July, 23rd July, 6th August, 20th August, and 3rd September. These will be full line trains, using Lancashire and Yorkshire rolling stock, with the addition of VCT's Metropolitan Brake 427. VCT took delivery of the historic Overhead Line Inspection Vehicle [OLIV] into Ingrow workshop for the first stage of its restoration to working order following an arson attack in February 2016, at Middleton. 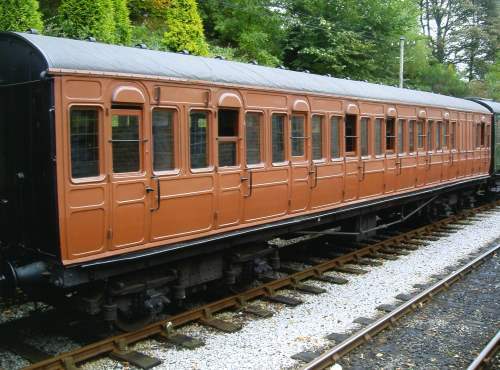 VCT will rebuild the bodyshell, replace the windows and repaint it, making a fully weatherproof vehicle to return to its home at Moor Road, on the Middleton Railway, where the members of the EM2 Locomotive Society can then restore the interior. Photo Ian Dobson. Midland Railway Carriage 358 has been lifted to allow the underframe to be removed for restoration. Photos Paul Holroyd. Flying Scotsman will be in steam and on display at RAIL STORY, Ingrow between 8.30am and 6pm. Entry to Ingrow yard will require a special day ticket to be purchased and will include unlimited travel on KWVR steam trains between Oxenhope and Keighley. Tickets for travel should be purchased on the day and will include access to both museums at Ingrow. Please note, advance booking is NOT necessary to come and see Flying Scotsman over these two weekends. £17 concessions (Senior citizens, and KWVRPS Members). More details on the KWVR webpage. There will be no vehicle parking available in Ingrow yard during the weekend.